Myths about women’s Weight Lifting. Women shy away from heavy lifting for various reasons. Some believe it’ll add to their body weight, some believe that they will develop a masculine form. Strength training does everyone good, whether man or woman. It’s time to look at some myths that revolve around women’s weight lifting. 1. Muscles in Men and Women can never give the same results. Musculature in the two genders do differ. Men have more skeletal muscles than women. Men can generate more muscle power than women. And they develop different types of muscle fibres. While more of fast twitch muscle fibres in men produce more power, excess of slow twitch muscle fibres in women create fatigue-resistance and capacity for muscles to heal better. The development of these fibres depend on the kind of fitness activities one engages in. 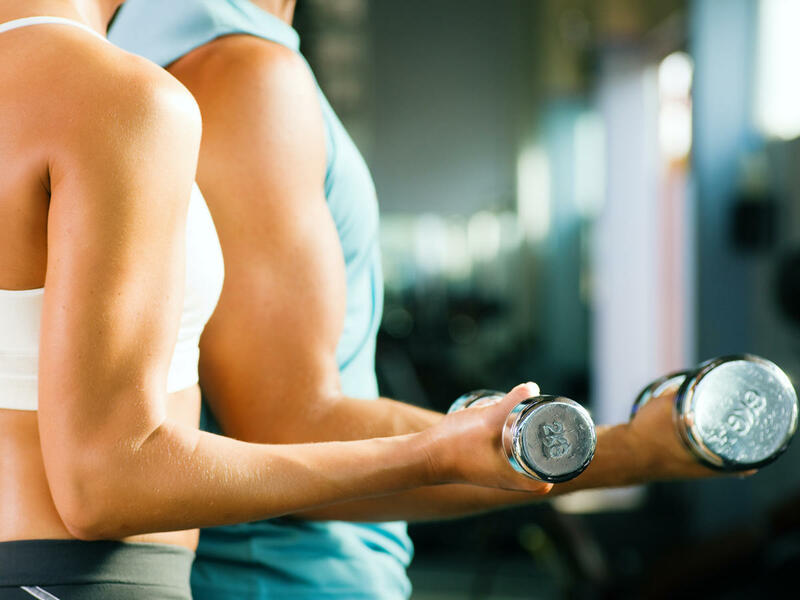 Moreover, muscles and muscle fibres react in the same way to exercise in both men and women. Women can enhance their fast twitch muscle fibres growth by engaging in high intensity cardiovascular workouts. They can have almost any result they want out of them. 2. Deadlifts are dangerous for women. To be fair, deadlifts are dangerous for anybody who does not follow the proper form of lifting. There is no particular reason for women to be additionally precautionary. With proper guidance, knowledge of technique and knowing your body limits, weightlifting can be fun without being dangerous. 3. Women need special protein supplements for their strength training needs. If you’re searching for protein powders just for women, you may even find results. But their reliability is your risk. Because the regular protein powders do you no less service. They work the same for men and women. Your choice of protein powders should be guided by the physique goals you have in mind in sync with your fitness program, and therefore the constituents of these powders and not what the label promises. With the right brands and proper past history of effectiveness, you should have your desired results just fine. 4. Weightlifting can make women look masculine. Weightlifting is an intense cardiovascular activity. Whatever a normal workout does, it speeds it up. It also helps in the development of fast twitch muscle fibres for more output. Lifting results in development of lean muscle that burns fat better making you thinner in lesser time. This is great, but it has nothing to do with looking masculine. Since being lean is not necessarily a characteristic of a man. Even lifters can have any more than one body type depending upon their training regimen. Lifting does not mean just bulking up. It makes for a stronger and healthier body in women too. 5. Lifting sometimes means adding to body weight and therefore women shouldn’t. Weightlifting curbs body fat. It also helps in building lean muscle. Though muscles may take up less space than the fats they replace, they still have weight. The ultimate result may be a gain in weight. This is considered sufficient reason for women to not do it. Pretty sexist I think, not all women hit the gym to lose weight. Building strength, resistance, developing a sculpted lean body may also be their agenda. And wanting a good physique is just ambitious and no offence. So women can use any gym equipment they can handle that helps achieve their goal. 6. 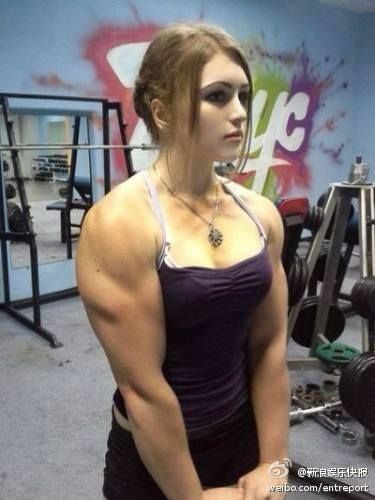 Creatine is a big no for women. This again is the argument of a sexist. In a bit, we’ll see why. Creatine is one of the by-products of our daily metabolism. It is also fuel for short-term energy intensive activities. The kind that heavy lifting workouts are. Sometimes, the natural creatinine levels are not sufficient compared to the amount of intense activity involved in these workouts. That’s when we need the supplements. Since a little weight gain is a side effect it is regarded as something positive as it helps achieve your fitness goals.